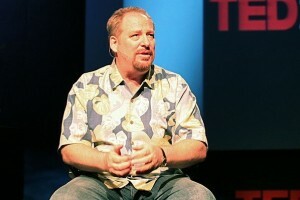 Despite recent comments that he would never again make statements on political matters that could be construed as public declarations, Rick Warren, author of the best-selling book The Purpose Driven Life and pastor of Saddleback Church in California, recently posted a message on Twitter to his 800,000 followers reinforcing his opposition to a largely church-supported homosexuality bill that is set to pass this month in the East African nation of Uganda. Below the Tweet, Warren reposted a video that he had created in 2009, which outlined his position on the matter. Warren was referring to a bill that has been under consideration in Uganda for several years, which criminalizes homosexuality in the nation. Punishment for the promotion of homosexuality and the commission of homosexual acts includes fines and incarceration. Homosexual pedophilia, also known as “aggravated homosexuality,” as well as intentionally infecting another with the AIDS virus, can result in the death penalty. While reports out of Uganda outline that changes have recently been made to the proposed legislation, including the removal of the death penalty, a new draft of the bill has not yet been made available for public viewing. Therefore, Warren pleaded with spiritual leaders in Uganda to oppose the bill as he believed it would cause damage to the efforts of those that sought to compassionately assist struggling homosexuals and those diagnosed with AIDS. Warren has himself traveled to Uganda in the past to participate in humanitarian efforts in the nation. As previously reported, members of Uganda’s parliament say that they plan to pass the homosexuality law before the end of December due to the urging of Christian groups that are concerned about the proliferation of the homosexual lifestyle in the country, and that a vote could come sooner than later. When questioned about the matter, Kadaga stated that she believes that parliament needs to heed the voice of the people. Homosexual activists have been opposed, however, to the actions of religious groups in the nation. Ugandan President Yoweri Museveni, a professing Christian, who recently led the nation in a prayer of repentance, explained to British reporters earlier this year that he believes homosexuality should simply be “ignored” in the nation, although he opposes the promotion of the lifestyle in any form. If the bill is approved by parliament, it is not known whether Museveni will agree to sign the legislation into law. 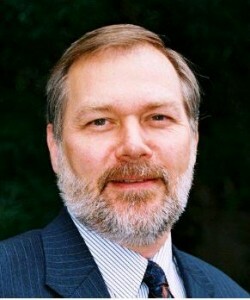 Pastor Scott Lively of the Defend the Family Institute in Springfield, Massachusetts, who was sued earlier this year by Uganda’s SMUG for “inciting the persecution of homosexuals,” told Christian News Network that, unlike Warren, he supports the bill’s passage. While he does not agree with all of the penalties in the bill, he noted that homosexuality was also illegal in America at one time as well. He said that Warren’s condemnation of the bill reveals a disturbing mindset among American evangelicals. Warren, who issued the Tweet opposing Uganda’s homosexuality bill on Thursday, has been in the news frequently in recent weeks as the issue of homosexuality has often been the topic of discussion as he has toured the nation in celebration of the 10th anniversary of the release of The Purpose Driven Life. However, some may consider the 2009 Uganda video, which Warren re-Tweeted on Thursday to his followers, to be a global statement regarding his position on the matter. The pastor, who identified as Jim, deferred to Warren for further comment, but telephone calls to Warren’s office have not been returned. Uganda’s parliament expects to pass the bill within the next few weeks.